(27 mins) In this episode, hosts Katherine Cody, Psy.D. and Becca Lory, CAS, BCCS speak with Kelly Mahler MS, OTR/L. Kelly earned a MS in Occupational Therapy, as well as a Post-Professional Pediatric Certificate from Misericordia University, Dallas, PA. She is an occupational therapist and autism consultant, supporting school-aged children and young adults. Kelly is also co-founder of Destination Friendship, an organization dedicated to providing multidisciplinary social skill groups within the community. Kelly is professor of Occupational Therapy at Elizabethtown College, Elizabethtown, PA. She is actively involved in several research projects pertaining to interoception. Kelly is an international speaker and presents frequently on topics related to the five books she has authored: Interoception: The Eighth Sensory System, The Comprehensive Assessment of Interoceptive Awareness, Sensory Issues and High Functioning Autism (with Myles and Robbins —winner of National Parenting Publications Bronze Medal), Destination Friendship: Developing Social Skills for Individuals with Autism Spectrum Disorders or Other Social Challenges (with Benton, Hollis, and Womer), and Hygiene and Related Behaviors for Children and Adolescents With Autism Spectrum and Related Disorders (winner of Mom’s Choice Awards Gold Medal). The three discuss what interoception is, how it affects people with autism, and how people on the spectrum can develop better understanding of how their bodies work. 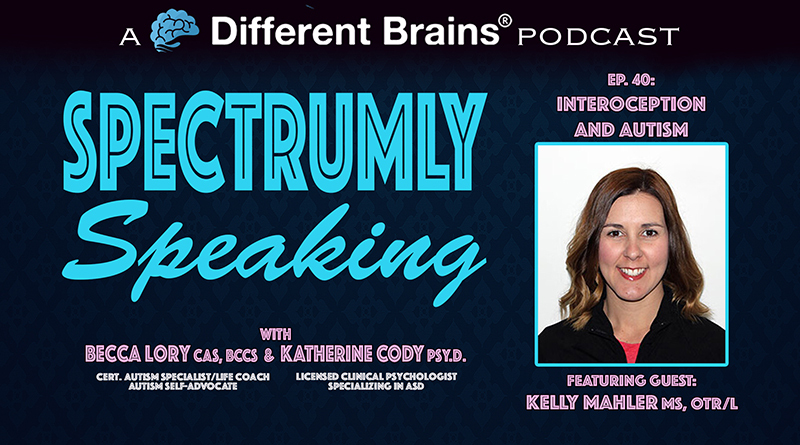 (40 minutes) In this episode, Becca Lory, CAS, BCCS welcomes her new co-host Katherine Cody, Psy.D. 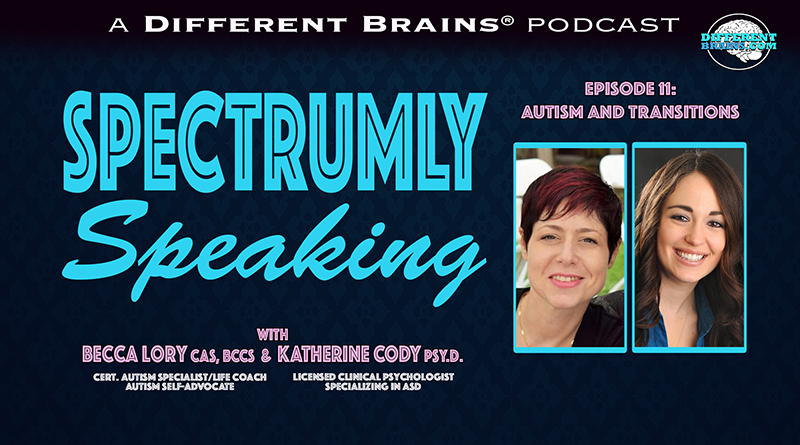 Becca and Dr. Cody discuss their histories together, the challenges related to transitions for people on the autism spectrum, common life events that can inspire those issues, and some tools for coping with changes. 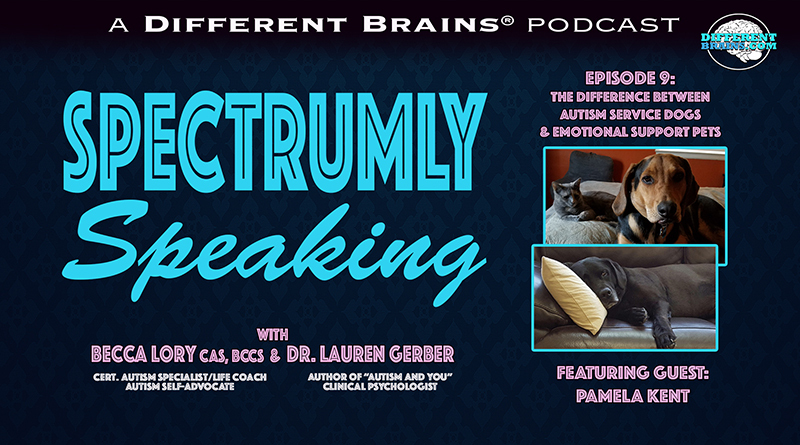 (43 mins) Becca, Dr. Gerber, and their guest, therapy dog trainer Pamela Kent, discuss the differences between emotional support dogs, service dogs, and therapy dogs, the role animals can play for a person on the autism spectrum. 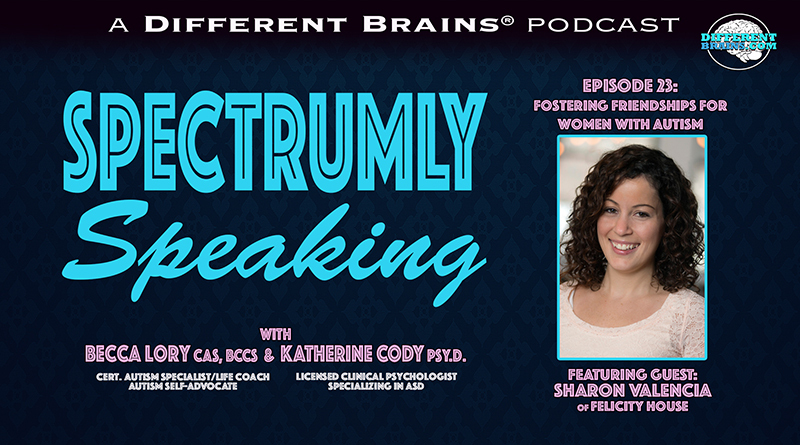 (28 mins) In this episode, hosts Katherine Cody, Psy.D. and Becca Lory, CAS, BCCS welcome guest Sharon Valencia of Felicity House.